With Android L available for a few devices, everyone not able to flash the developer preview build are scrambling to get a taste of Google’s latest OS on their devices. Thankfully, the Android developer community is top notch, churning out plenty of work to help get your device running like Android L. Why exactly you would want your phone to run like a buggy developer preview build, I don’t know, but that’s why we love Android. Freedom! Nova Launcher, one of the most widely-used third party launchers on Android, received a beta update today, bringing a few Android L goodies with it. 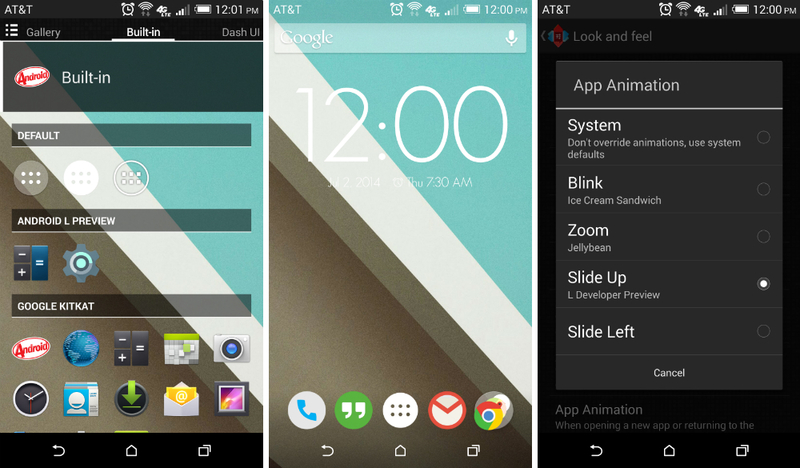 New options for the Android L folder preview and app drawer icon are available, plus a new Android L app animation, which will slide apps up from the bottom of the display, just like on the preview build. Take a look below for the full description on the changes. To download the Beta, you will need to be opted in through Google+ and Google Play, then you should see the update appear soon. If you would rather skip waiting, and be a sideloading-savage instead, you can download the apk file here.